The Michigan Library Association (MLA) is pleased to announce that All American Boys by Jason Reynolds and Brendan Kiely, published in 2015 by Simon & Schuster, is the winner of the 2016 MLA Thumbs Up! Award. Sixteen-year-old Rashad is brutalized by Paul Galluzo, a police officer who mistakes the boy for a shoplifter. Varsity basketball player Quinn Collins was a witness and was raised by Paul after his father died. Once Paul is accused of prejudice and racial brutality, Quinn refuses to believe it. But then Rashad is repeatedly absent, causing the basketball team start to take sides, as half the players are Rashad’s best friends. This tension permeates through the school and the town as Rashad and Quinn are forced to face decisions and consequences they had never considered before. Brendan Kiely is originally from the Boston area and received ahis MFA in creative writing from The City College of New York. He currently lives in Greenwich Village with his wife. His debut novel, The Gospel of Winter, was selected as one of American Library Association’s Top Ten Best Fiction for Young Adults 2015. 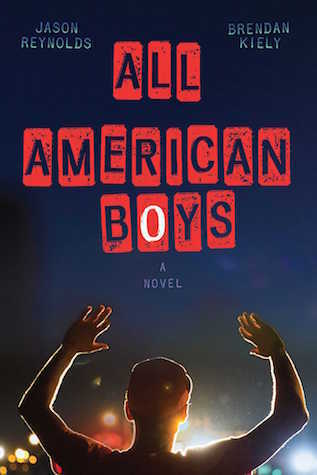 All American Boys has attracted prominent attention, including being a 2016 Coretta Scott King Author Honor book and recipient of the Walter Dean Myers Award for Outstanding Children’s Literature.